Severe storms are more prevalent during the summer than any other season due to the instability of the atmosphere. Threats of heavy downpours, strong winds and cloud-to-ground lightening make storms dangerous inside and outside your home. On top of any physical damage from the storm, electrical surges can occur, possibly wrecking your electronics without any proper storm preparation. Give the Trees a Trim Typically your electric company will come through the neighborhood and trim back any trees that could have branches snap and land on power lines due to powerful winds. But you can still look around your yard to see if any trees have some dead branches or any branches that are slightly snapped. Carefully use a saw to remove, or call an arborist to come out and properly trim your trees and bushes to not only keep them healthy, but protect your home. No Surge Too Big Investing in surge protection for your home is vital when it comes to protecting your electronics and appliances, including your heating and air conditioning system. And we’re not just talking about having a couple of surge protection strips for your computer and printer. Weather Master’s CAIRfree Storm Kit can provide 50,000 amps of protection against lightning damage, plus offers a five minute delay that prevents your heating and air conditioning unit to turn back on for five minutes after a surge—protecting your compressor from damage. Power on Standby Having a generator in your home at the ready will help your family stay out of the dark should the electricity be cut off due to high winds and lightning strikes. 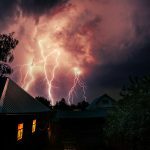 Weather Master sells whole home generators and our North Carolina state licensed electrician on staff will be more than happy to discuss the best options for your home. No Longer an Afterthought Don’t let your insurance be an afterthought any more—before storm season ramps up, look over your homeowner’s insurance to see what you’re protected against. If you have any questions, make an appointment with your insurance adjuster to fill in any holes that there might be in your policy. Water Damage and Your Electronics Flooding in your home can be very damaging in so many ways. If severe floods hit your home, to the point of standing water, do not go into the waters in your home until the utility company has removed the electrical meter from the socket in your home. You don’t want to risk electrocution from walking into your home. If you’ve had any electrical equipment that was in the standing water for any amount of time, it is most likely ruined and unusable. You will want a licensed electrician from Weather Master to go through your home to survey the electrical system in your home. Take a little time for storm preparation around your home this the summer storm season. 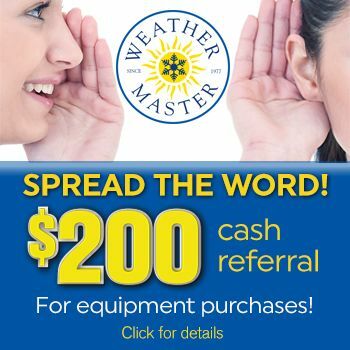 Give Weather Master a call for the best service in the Triangle area so we can keep you connected and comfortable.